Choosing the correct height of a bar stool can be tricky. If they’re too short, you can’t reach the bar and if they’re too high, you’ll have to slouch – neither is very comfortable and, let’s face it, doesn’t look so good. Here are some tips on how to select the right stool for your bar or counter. Knowing the difference between a bar stool and a counter stool is important. 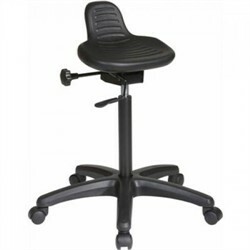 A counter stool is usually around 24″ and is typically used at a kitchen counter. 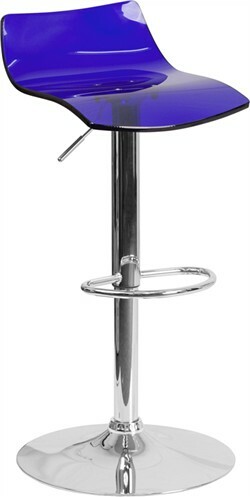 A bar stool is about 30″ and is designed for sitting at a bar. Measure the Height of your Bar or Counter: Measure from the floor to the top of the bar and remember to do it twice to ensure accuracy. Choose the Right Stool: Take the height measurement of the bar and subtract 10″ – that will be the approximate height of stool you should purchase. 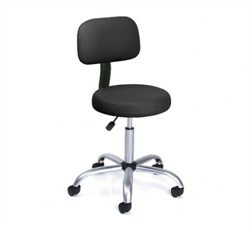 This will give you plenty of space to sit at the bar, with or without your legs crossed, and feel comfortable. To get the height of the stool, measure from the feet up to the seat. In addition to determining the height of your bar stools, you will need to consider how many stools will fit comfortably at the bar or counter. You want to make sure that there is at least 26-30″ between each bar stool (measurement taken from one center of the stool to the next). 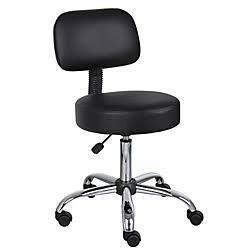 In addition, allow 14″ from the center of the last stool to the wall. This amount of space will allow people to comfortably eat, drink, and get in and out of their seat with ease. Décor: Look at the overall décor of your home, the way things are positioned, and the style that you have and select a stool that will blend with your décor. 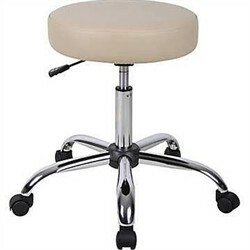 If you want a more casual or modern look, you might consider a backless stool. For a more elegant look, choose a stool with a back and armrests in a metal or carved wood finish. 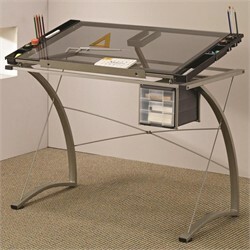 Functionality: Are you or your guests going to be sitting in the stools for extended periods of time? 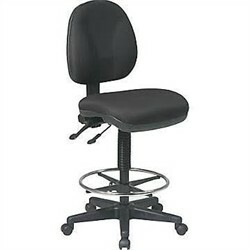 If so, you might consider getting a stool with a back, which will much more comfortable than a backless bar stool. 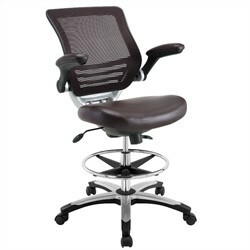 Also, choose a stool that has a comfortable cushion seat – if you can’t find one that you like, you can purchase a chair pad that will add comfort while meshing with your home décor. Small Spaces: If you have a small space, choose a bar stool with no arms so you can slide it under the bar when it’s not in use. 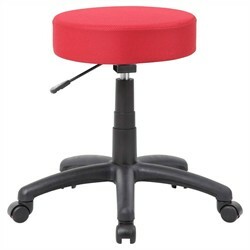 If you choose a swivel stool with a back, the stool can be used as conversational seating in your apartment. For the Kids: If you have children, you may want to choose a stool that has no cushion (or a spill-resistant fabric cushion) or a leather seat for easy cleanup. 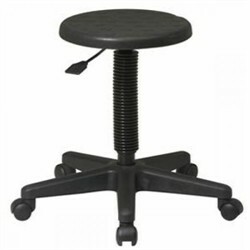 Also, an adjustable stool will be helpful so they can easily get on and off the chair and adjust the height as they grow. From the kitchen to a game room, bar stools offer easy and efficient seating. 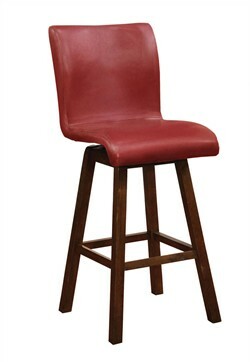 There are four common heights for bar stools: table height, counter height, bar height, and extra-tall bar stools. Use this guide to choose the bar stool height that best suits your space. First, measure the height of your counter or table, starting from the floor up to the bottom of the tabletop. The chart below lists the average surface height of tables and the proper height of bar stool you will want to pair with your table. Use this height chart as a guide while you shop. Table-height stools are shorter than counter or bar stools and can be a good alternative to chairs at a dining table or breakfast nook. 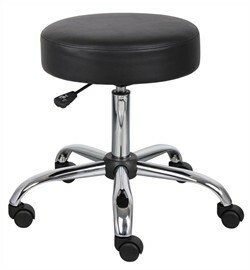 Counter-Height Stools are the ideal height for a 36-inch counter or to have on their own for extra seating. Counter-height bar stools are smaller than the typical stool you see in restaurant or bar, but are a great addition to your home bar or kitchen space. 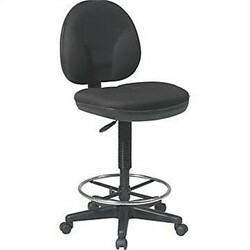 Bar-Height Stools at 30-inch stool is the perfect height for a standard 42-inch bar or countertop. 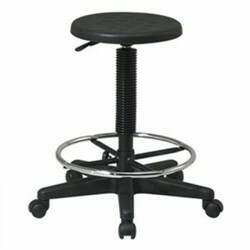 Bar-height stools are also ideal for a work space, like the garage. These are the same size stools you see in a restaurant or bar and are taller than the average dining chair.